Norway-based TTS Group ASA, a global provider of handling solutions and access systems and services for the marine and offshore industries, has been awarded a contract for sideloading systems for Norway-based expedition cruise operator Hurtigruten. TTS Group has also won a contract for ships equipment to another buyer. Total value of the orders is approximately NOK 38 mln (USD 4.5mln). 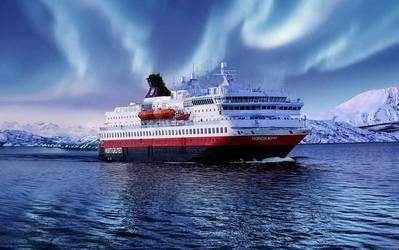 Hurtigruten, the world’s largest and most sustainable expedition cruise line, is expected to install the advanced TTS sideloading systems on six different ships during 2019-2021. Building on 125 years of Norwegian pioneering heritage, Hurtigruten is today the world's largest expedition cruise company. Few days ago, TTS Group awarded a new contract with Cosco (Dalian) Shipyard Co., Ltd in China. The contract regards five shipsets of cargo cranes and hatch covers. The equipment is for use on multi-purpose vessels. Deliveries are expected to take place by the end of 2019.